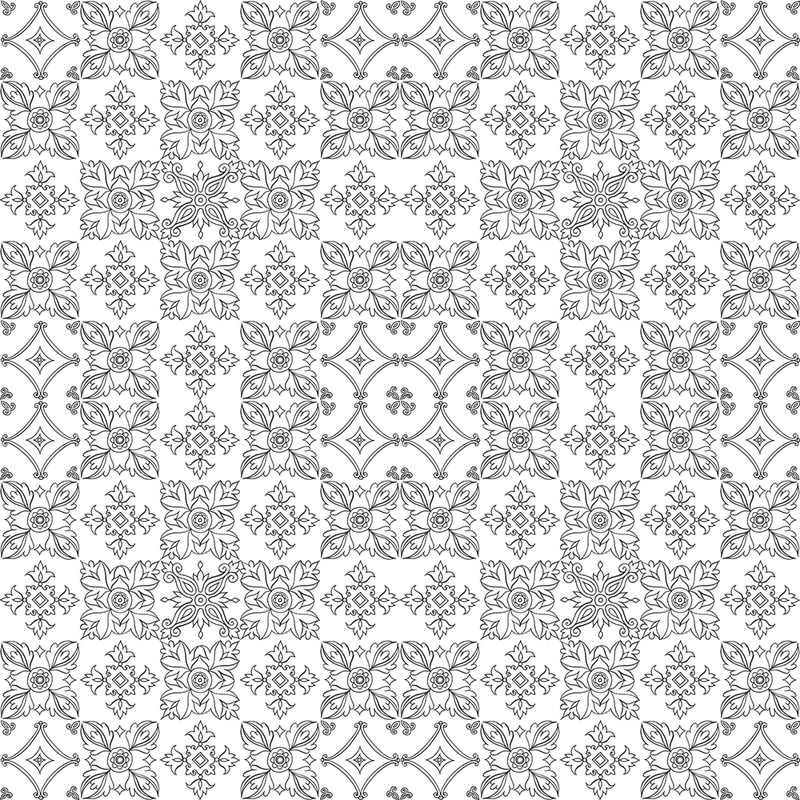 This design shows hand painted tile motifs in white version with black outline. 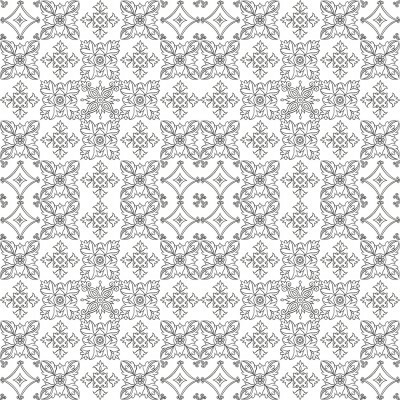 White Tiles on white background Wallpaper design: width 1.25 m, height 1.25 m.
White Tiles on white background Wallpaper in interior. 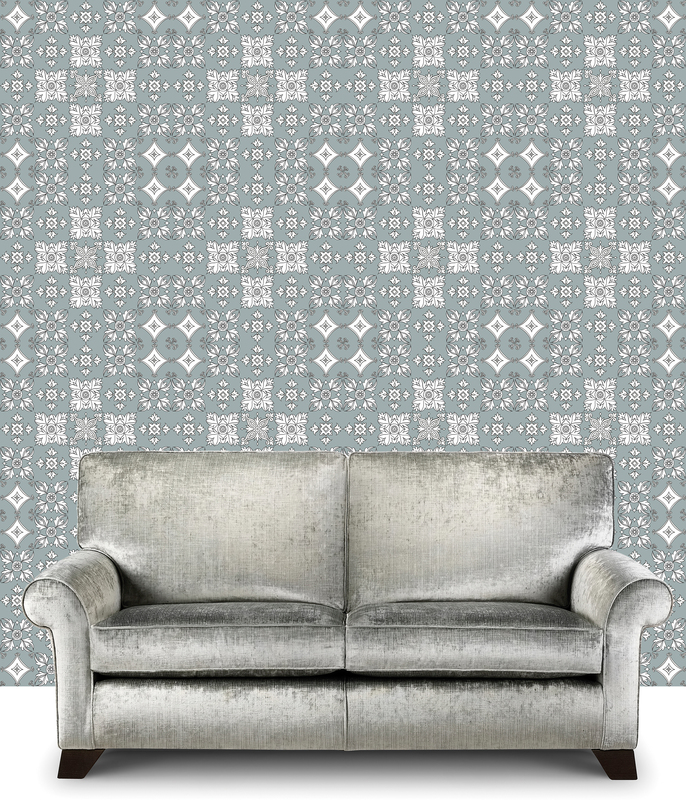 White Tiles on light grey background Wallpaper design: width 1.25 m, height 1.25 m.
White Tiles on light grey background Wallpaper in interior. 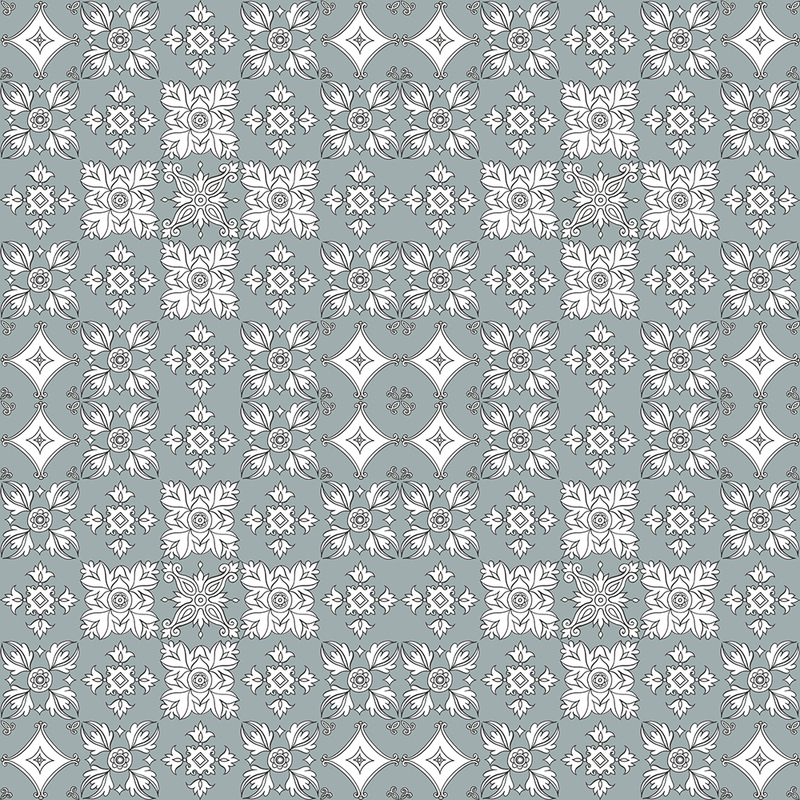 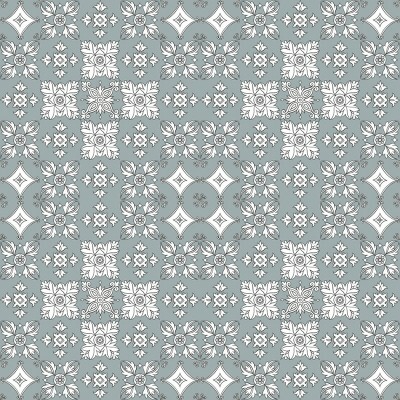 White Tiles on grey background Wallpaper design: width 1.25 m, height 1.25 m.
White Tiles on grey background Wallpaper in interior. 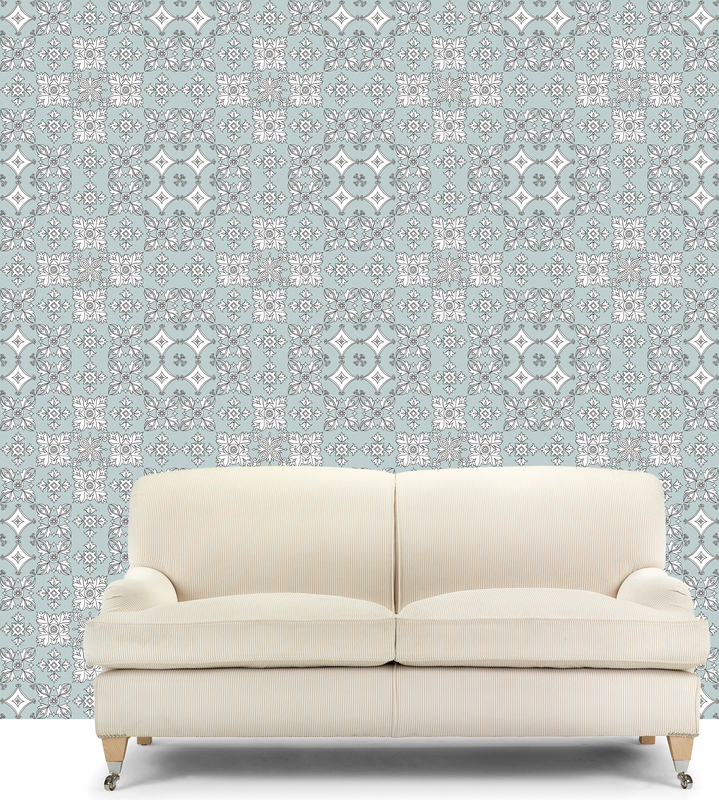 This super wide wallpaper is sold per metre. 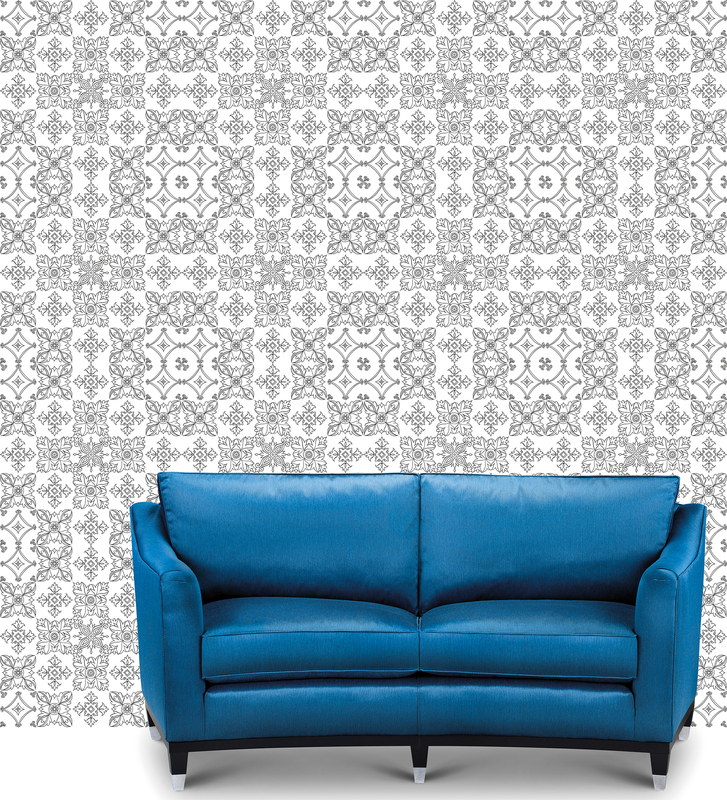 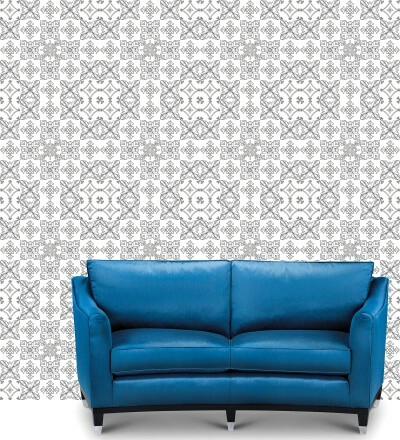 For more information about wallpaper go to Product Information page. 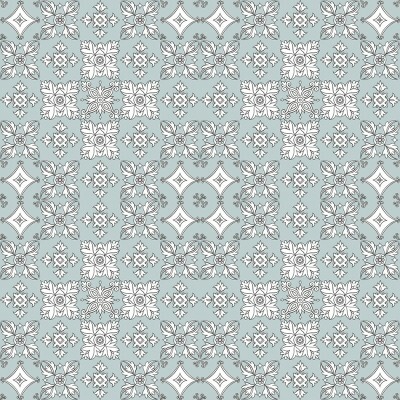 Contact Svetlana Shellshear with all enquiries, to order wallpaper sample and to place an order.